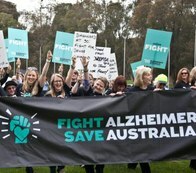 Although it was hard work trying to get dementia and aged care on the political agenda during the 2013 Federal Election, we achieved a positive outcome through the Coalition’s Healthy Life, Better Ageing policy, which sets out at a high level how the coalition will take forward the aged care reforms. The Coalition made the commitment during its election campaign to invest $200 million over five years in dementia research. This commitment will give Australians hope that future generations might escape this chronic disease through a better understanding of dementia and how to modify its progression. Dementia Australia looks forward to working with the Minister and Assistant Minister for Social Services on strategies to maximise the use of these precious resources. access to better medical care. 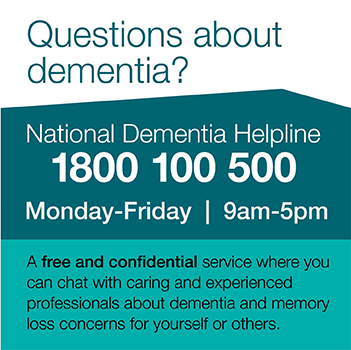 Dementia Australia also welcomes the recognition in the Coalition’s policy of the need for a more simplified information system to assist older Australians and their families to access the information they need. The top priorities in our advocacy remain further progressing the aged care reforms, improving access to services and support, dementia research funding, and a new National Action Framework on dementia supported by Commonwealth State and Territory Ministers. Thank you to our Dementia Champions and consumers who continue to support our campaign. Your support is critical to achieving the changes in our health and aged care system that will improve quality of life for people with dementia.